Edifice continues its support of Covenant Day as a key sponsor of their annual Sustainability Sporting Clay Shoot benefiting the ContainIt project. Traditionally, ContainIt has transformed shipping containers into houses for residents of the Pine Ridge Indian Reservation in South Dakota. 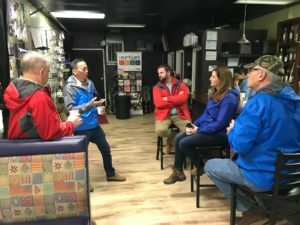 Recently Edifice team members, along with Little Architecture, joined Covenant Day’s ContainIt group as they visited tiny houses in Greensboro to begin planning for their next venture, away from container housing, to tiny houses. 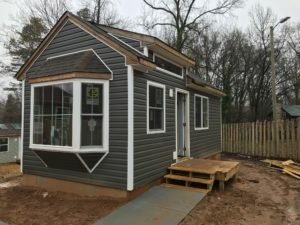 In partnership with Myers Park High School, the group is looking to establish a tiny house community geared to serve the homeless student population. 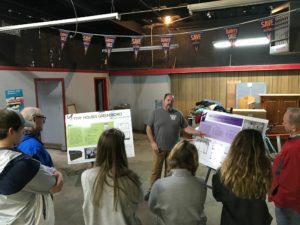 In addition to providing financial support to ContainIt, Edifice superintendent Andy Simmons is actively involved in providing guidance and industry knowledge, as well as is encouraging Edifice business partners to donate time and materials. As always, we continue to enjoy our involvement and support of this inspiring group of young students.